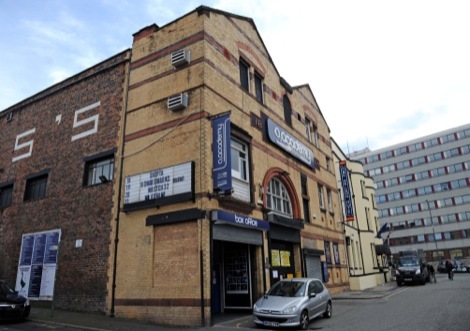 Liverpool’s O2 Academy undergoing emergency repairs forcing numerous bands to cancel gigs. Getintothis’ Luke Traynor reports. ONE of Liverpool’s premier music venues will be fully functioning as soon as possible, bosses promised today. The O2 Academy, on Hotham Street, is currently undergoing repairs to its roof which resulted in one gig being cancelled and other performances being rescheduled. The owners of the popular music venue had identified problems with the roof joints and tiles which had resulted in urgent work to make the structure completely secure. It meant last Friday night’s gig by ex-Last Shadow Puppets member Miles Kane was postponed and rescheduled for December. Skepta and Wretch 32 were also moved to the Liverpool Guild of Students, while other gigs like The Darkness and Jake Hall have been moved for the separate reason of increased ticket demand. Regional academy manager Steve Hoyland said this weekend’s concerts featuring acoustic folk-rock Essex singer Dave Giles and veteran Belfast punks Stiff Little Fingers will go ahead as planned. 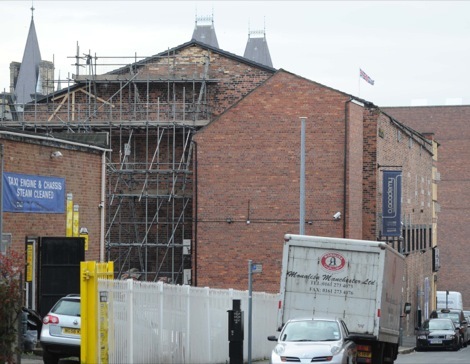 An Academy spokeswoman said: “We have erected some scaffolding at the back of our venue as we are carrying out maintenance and repair work to our roof. “We are a converted warehouse of some years and routine maintenance is taking place. Some music fans in the city had spread rumours that part of the roof at the venue had collapsed. But venue bosses insist this is inaccurate. The landscape around the music venue has changed dramatically in recent months with the former Odeon cinema being demolished on London Road. Tinchy Stryder, Jesse Marlin and Electric Six will be unaffected by the repair work which should be completed by the end of the week.